As I walked out of an English course, Irish Literature, in late March of my senior year at Hope, I scrolled through new emails on my phone. 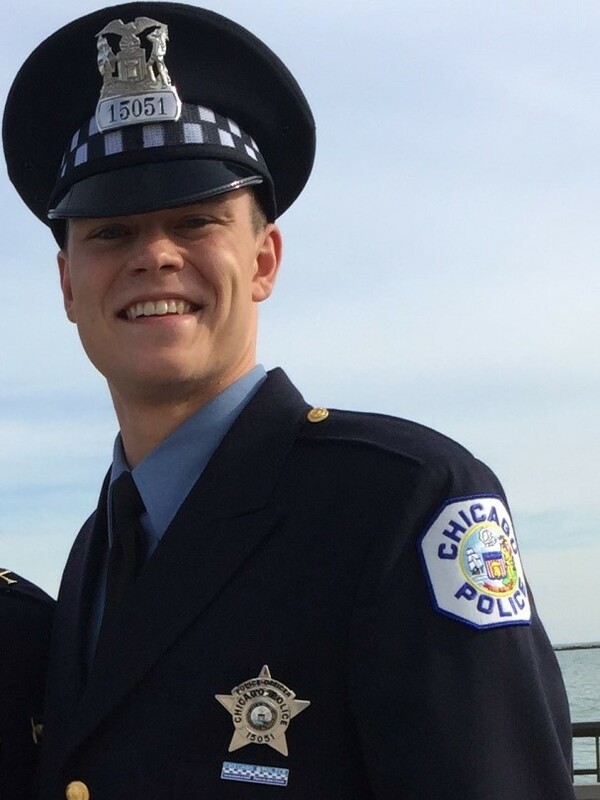 My heart nearly stopped on the second-floor landing of Lubbers Hall, as I received the news that I had been accepted into the Chicago Police Academy. I had been ordered to report the Monday following my graduation in May 2016. My relatively simple college student lifestyle was about to change. I was on the threshold of the so-called real world. Fast forward six months, I’m patrolling a beat on Chicago’s Southside, particularly the Englewood neighborhood. It’s a community that doesn’t resemble me. Residents are almost entirely African-American, they have varied religious beliefs, and most individuals fall below the poverty line. This neighborhood leads the city in violent crimes, shootings, and homicides. My partner and I just finished completing a police report for a young woman who was robbed at gunpoint while walking home from work. Now, we are maneuvering traffic on Marquette Avenue with our lights oscillating and the sirens blaring. We’re responding to a call about a person with a gun, and the address of occurrence is within an enhanced violence zone. It’s my first few weeks on the streets and, as you can imagine, I’ve got a cold sweat, and I can’t predict what is going to happen next. It turns out not to be a bonafide incident. We get back in our squad car, drive away, and get called over the radio to respond to a domestic battery incident a few blocks away. I think to myself how things have changed in only a few short months. My transition from an English major with the intent to be a high school teacher to a Chicago police officer was a rather peculiar one. My father has been a Chicago firefighter since 1980. I guess you can say civil service is in my blood. I didn’t want to settle after graduation. I wanted to do something different. One of my favorite classes at Hope was “Race Matters,” taught by Dr. Stephen Hemenway. Analyzing race, diversity, and ethnicity was fascinating and eye-opening. We always had very valuable classroom discussions. The texts were intriguing. Looking back, there is valuable advice that I want to pass on to Hope students deciding on their next steps after graduation. Hope students, like me, need to grasp the valuable academic knowledge in their courses and immerse themselves in new cultures rich with diversity and elements of the unknown. They have to take the risks. It will pay off. generate Case Incident Reports and Arrest Reports. These legal documents have a narrative component that requires the ability to articulate elements of the crime. Poignant language and a clear narrative flow are essential to the overall effectiveness of the report. communicate with citizens in various forms, whether in a call of service, a traffic stop, a narcotics investigation, or a community concern. Sometimes, I can be a friendly presence for kids to let them know I’m here to help. Hope College allows students to individually flourish. They have endless opportunities to express their ideas and beliefs and to take stances on important issues. An English major from Hope will open so many doors of opportunity. So embrace risks. Explore various careers. Make diverse connections. Never doubt your intellectual ability. You’ve studied under professors like Hemenway, Moreau, Kenagy, Dykstra, Burton, Montaño, and Trembley— they’re the experts. Listen closely to their advice, because I guarantee it will pay off. If you happen to “fall” into a profession, stick to what you know best and rely on the skill set that you’ve perfected at Hope College. Your terrific writing had me with you on your beat, likely cowering on the back seat of the squad car while admiring your work and you. When many think a college education is a means to “make it,” in a rather limited definition of such, you reveal the value of the English major in a way that will broaden students’ awareness. Thanks! Wishing you good in your days. Unbelievable narrative of a young man who was raised by two loving, decent parents and who was provided with every opportunity to reach for the stars! Now he is using his talents so that others may have hope for the future! You are simply amazing Kyle! Inspired! We need more police recruits from Hope college. You are a rock stary, Kyle! Thank you for sharing your very valuable and interesting story. And thank you for keeping in touch. Stay safe and keep being one of the many very good cops out there. So many blessings to you!